Got a great deal and service on my 2018 Mazda 6. Love my new car thank you. I appreciate customer service with extras. Lovely service waiting area, complete with snacks. Good text / email contact and updates. Fantastic experience working with Hitoshi at this dealership. No pressure and very pleasant to work with. I highly recommend it! 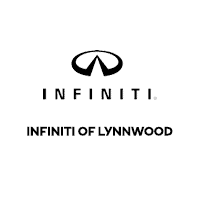 INFINITI of Lynnwood carries an impressive selection of new and pre-owned cars, crossovers and SUVs in Lynnwood. No matter what vehicle you might have in mind, we’ve got the perfect fit for you. If you’re looking to lease your next INFINITI, at INFINITI of Lynnwood, we have competitive leasing options on new INFINITI vehicles. INFINITI of Lynnwood also has an extensive collection of quality pre-owned and certified vehicles. Whether you’re looking for new or pre-owned, INFINITI of Lynnwood is your trusted dealership in Lynnwood. We look forward to seeing you soon.